Updates to Eric (Rick)'s profile since your last visit are highlighted in yellow. Jeremy born in 1976. 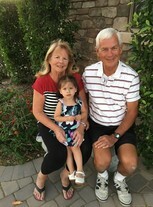 He & his wife and our only grandchild (Avery, a girl - 3 years old and very cute More…!) currently reside in Toronto Canada. Lori born in 1980 currently resides in Seattle Wa. 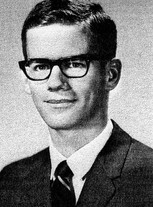 I graduated from the University of Montana in 1971 with a degree in business. I worked for Caterpillar in Peoria Illinois for about 13 years before going to work for Boeing in Seattle. Most of my career was spent in IT (computing). I retired from Boeing in 2014 as a senior manager over a department that produced and supported documentation for the commercial aircraft maintenance and repair documents. We supported documents from DC-3 and 707 up to current, in-service aircraft. My wife & I have been married almost 45 years, and we are snow-birds. We have a winter home in the Phoenix suburb of Peoria. We spend summers in our house in Bellevue Washington. I enjoy travel, golf, Pickleball, Bocce, tennis, biking and hiking. Eric (Rick) Becker has a birthday today. Eric (Rick) Becker added a comment on his Profile. Eric (Rick) Becker posted a message. Eric (Rick) Becker posted a message. New comment added. For those who missed it, Bob Sorenson did a great job as the emcee of both the Friday & Saturday reunion events. Among the comments he made Saturday was a well-deserved "thank you" to the reunion committee members. That said, I think one committee member may have been overlooked. And that member is (drum roll please..... ka-ching) Bob Sorenson. Thank you, Bob, for another great job ! This was my 4th reunion (I missed 30) . But it seems to me that there are a few people who have done a lot of work in supporting EACH of these events. There are a few people who have been on all (or nearly all) of the organizing committees. There may be others as well, but the ones I am aware of are: Chris Kuhleman Dorr, Carol Wallinder Daniel, and Judy Knight Fox. A SPECIAL thanks to each of you for the heavy-lifting you have done over the years ! We appear to have 14 classmates who live in Texas (none in Louisiana). Of the 14, only a couple had registered on this website. Do we know anything about the conditions for these people relative to Hurricane Harvey? Has anyone heard anything? Eric (Rick) Becker updated his profile. View. Eric (Rick) Becker changed his profile picture.